In order to start a Ph.D. in a field, you need a set of skill in that field. Merely satisfying the departmental requirements for computer science doesn't automatically give you those skills. This page tries to give a brief summary of a basic set of skills that are important for working as a Ph.D. candidate in image understanding and pattern recognition. There are some core skills, and some optional skills. It's hard to list all the skills explicitly, so on this page, I try to indicate skills by referencing standard text books. That doesn't mean that you need to have the textbooks memorized, but you should have a reasonable understanding of what's in those books. You probably should have implemented the most important of the algorithms in those books at one point yourself (usually in Python), and you should feel comfortable implementing and applying most of the techniques if you need to. You may need a combination of courses and self-study to acquire these skills. For self-study and review, the books below are a starting point, but you may find it useful to refer to other books as well. Our research lab is in computer science and involves algorithms, mathematics, complexity analysis, and related topics. You should be familiar with a basic set of skills in computer science. If you don't know these algorithms or topics yet, it would be a good idea to read up on them. In addition to being useful for your research, the department also expects familiarity with these subjects. These are skills everybody in the group should have. A good book summarizing the kind of mathematics we need is Strang's Introduction to Applied Mathematics. Our standard textbook for pattern recognition is Duda, Hart and Stork's Pattern Classification. There are some supporting skill that you need to have as well. Good, basic project management book. Generally speaking, we use the following languages and tools (in decreasing order of importance). Keep in mind that our primary goal is to do research in pattern recognition and image understanding, not software development. So, it's important to learn tools that make developing new pattern recognition and image understanding methods easy. Python is the default programming language for prototyping and writing applications in IUPR. Python is used for scripting, numerical algorithms, GUI development, and other applications. Every Ph.D. student in the group should be fluent in writing Python code, and have a good working knowledge of the NumPy, Matplotlib, sparselib, and PIL extensions. You need to be able to write efficient array code in NumPy. Please also learn and follow PEP8 coding conventions. R is widely used in statistics and machine learning. Functionally, it is mostly a subset of Python. There are a lot of toolboxes that implement algorithms that we use for control experiments. R is also good for plotting, and it should be your first choice when making graphs and figures for papers or your thesis. Every Ph.D. student should have a basic knowledge of R and be able to use algorithms, toolboxes, and plotting functions implemented in R by others. It is generally not necessary to be fluent at writing new code in R, but if you find it convenient, it is OK to use R for your research code. For some of our projects, we use C++. If you are working on a project requiring C++, then you need to be fluent in it. If your project does not require C++, you should avoid using C++: C++ software development takes unnecessarily long and since C++ discourages the kind of visualization and experimentation that is important in pattern recognition. If you need to use C++, you need to learn and follow our C++ coding conventions (these actually simplify your life because we don't use a lot of the more arcane features of C++). If you do write C++ code, please make it available as a Python module as well (e.g., using SWIG). 95/2003 Fortran usage is optional and we do not use it much right now. However, if you find it convenient, it is a choice you can make. Fortran 95 and 2003 are very easy to use for numerical computations and basically work like a very fast, compiled Matlab. There are lots of libraries, it's easy to parallelize, it works well with C, and you get high performance code with minimum fuss. Fortran code is easy to call from Python. You should know at least one of C++ or Fortran in order to be able to write fast numerical code when needed. Matlab functionality is a subset of Python's and R's, but there are many packages that implement functionality that we need to benchmark against. If your project involves machine learning, you probably at least should be able to run existing packages in Matlab and know the basics of the syntax. Please avoid writing new code in Matlab unless a project specifically requires it and there is no other choice. We avoid developing software in Java because Java doesn't have good numerical or image processing support and because Java doesn't integrate well with other languages. However, for some projects, it's unavoidable. If you need to deal with Java software, Jython (a Python implementation in pure Java) can make your life a lot easier. You should know any of these books that relate to your specific thesis topic. For example, if you work on 3D book surface modeling, you should probably know what's in Forsyth and Ponce, Marr's, and Horn's book. A second, important book is Hastie, Tibshirani, and Friedman's The elements of statistical learning. This overlaps substantially with DHS, but it takes a somewhat different perspective. If you're interested in symbolic AI, then Russell and Norvig's Artificial Intelligence: A Modern Approach covers the basics pretty well. For mainstream geometric computer vision, Forsyth and Ponce's Computer Vision: A Modern Approach is a reasonable choice. by Berthold K. P. Horn (Author). 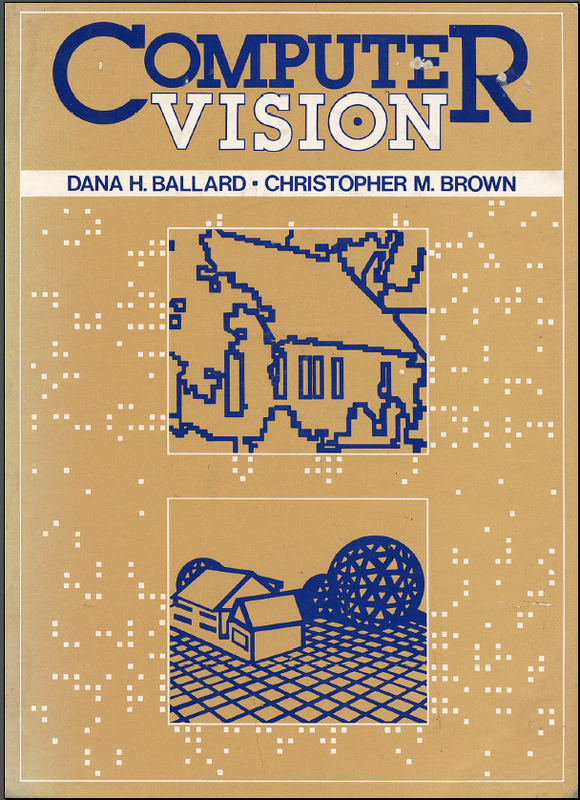 It's actually more a computer vision than a robotics book.